CHICAGO (WLS) -- A 22-year-old University of Iowa student died after a charter bus crash on the inbound Stevenson Expressway near Damen Avenue. Four other passengers were injured. Illinois State Police said the driver of a Chicago-bound Burlington Trailways bus lost control on northbound I-55 near Damen around 6:40 a.m. Monday and struck a construction arrow board sign. State police said Nicole M. Underwood, of Des Moines, Iowa, was transported in critical condition to Mount Sinai Hospital, where she later died. Relatives said Underwood was headed to Chicago to celebrate New Year's Eve with her boyfriend. 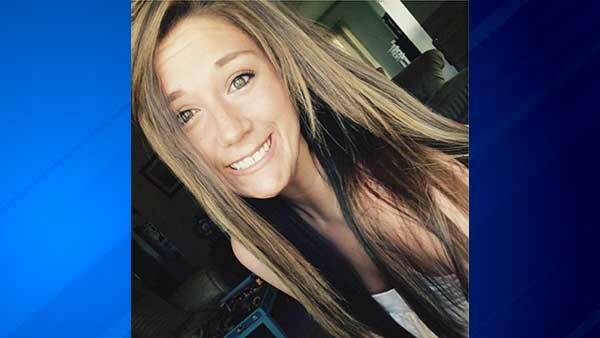 Underwood was a senior at the University of Iowa, where she was studying to become a therapist. Her loved ones have set up a GoFundMe page that is raising money to establish a scholarship fund in her name at the University of Iowa. A charter bus was involved in a crash on the inbound Stevenson Expressway at Damen Avenue. Four other passengers were hurt in the crash. Their injuries were not life-threatening. Two were taken to St. Anthony Hospital and two were taken to Mercy Hospital, all in stable condition. Burlington Trailways sent out a statement Monday, offering condolences to Underwood's family. Company officials said the driver took evasive action to avoid a pick-up truck that had veered into his lane just before the bus hit the sign. An on-board GPS system, which is monitored by Trailways officials in West Burlington, Iowa, said the bus was traveling 49 mph in a 55 mph zone when it crashed. Officials said Burlington Trailways is fully cooperating with investigators, who will inspect the vehicle. The statement also said it is company policy for all bus drivers to undergo a routine drug test after an accident. The bus departed Omaha, Nebraska, Sunday evening. There were 33 passengers on board.